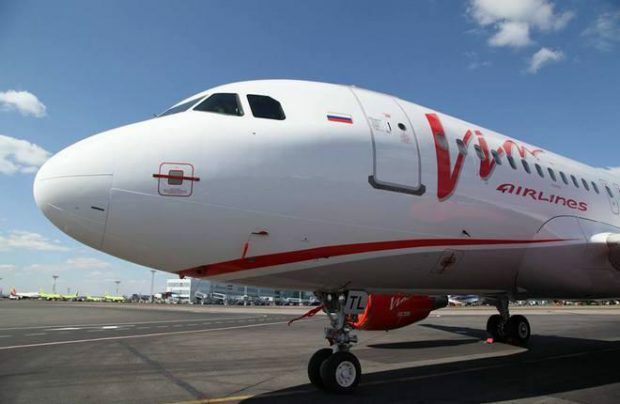 Russia’s Federal Air Transport Agency (FATA) issued a decree on October 23 restricting VIM Airlines’ air operator’s certificate on October 23, the airline has told Russian Aviation Insider. The carrier declined further comments. FATA likewise declined to comment. The decree has not yet been published. In the meantime, TASS newswire reports, Transport Minister Maxim Sokolov announced on October 30 that the certificate had been suspended and might be either restored or cancelled in the future. The ministry has instructed FATA to investigate the airline’s restructuring plan as proposed by potential investor Boris Karlov, the managing director of Aurora Investments. The VIM Airlines fleet currently lists 29 aircraft, 25 of which are airworthy, Vedomosti daily reports. Aurora Investments has presented a strategy to recover the bankrupt carrier with the help from the banks that VIM owes. Under the plan, the airline would operate just nine aircraft: three Boeing 757-200s (owned by airline), three Boeing 777-200, a single Boeing 767-300, and two Airbus A319s (all six operated under lease schemes). The airline’s route network would concentrate on three regions: Russia’s Far East, China, and Central Asia. Experts expect that by 2020, the airline’s seat load factor will have grown to 75% from the current 69%. VIM Airlines, which has accumulated about 10 billion rubles ($172 million) in debt, had Vyacheslav Kononenko placed as its CEO last week. Kononenko had previously served as first deputy director for operations at now-defunct Transaero Airlines. The operator carried 2.137 million passengers in the first three quarters of 2017, which positions it as the country’s 10th largest passenger carrier. Thanks to the aggressive fleet expansion, the airline’s traffic grew 27.8% year-on-year over the period.